Join Distinguished Keynote, Michael Ferriter, Lieutenant General US Army (Retired); President and CEO of National Veterans Memorial and Museum along with Dr. Theresa Larson, CEO of Movement RX, Swen Nater, retired NBA player, Humble G, an award-winning violinist, Greg McCrabb, adaptive athlete, and more for an awe-inspiring evening! Look for detailed invite early January. Click here for early registration. 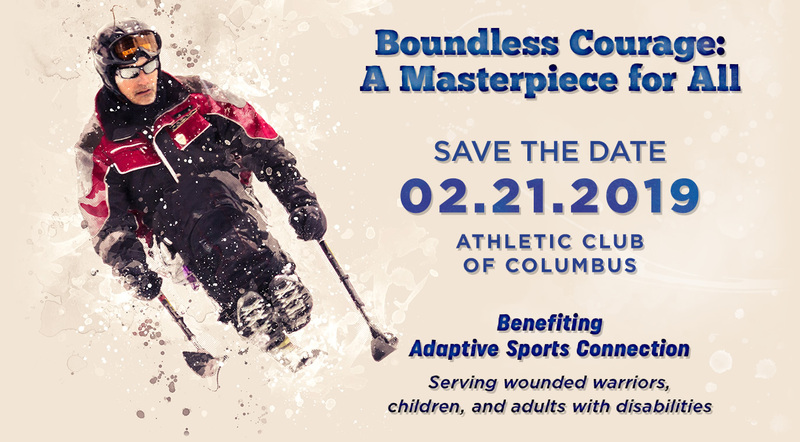 Adaptive Sports Connection is dedicated to transforming the quality of life for veterans, children, and adults with disabilities through sports, outdoor and therapeutic recreation, and inclusion with family, friends, employers, and communities. Whether from a war injury, cancer, a stroke, amputation, spinal cord injury, a birth defect, a traumatic brain injury, or other challenges – we believe in the power of possibilities. Call Sharon Schreiber at 630-945-1787 or Sharon@adaptivesportsconnection.org for any questions or sponsorship opportunities.